The Ruhrstadt Congress World Music 2015 as a part of the further professional educations is a productive creative meeting for the developement of artistic projects, innovations and ideas as part of Ruhrstadt-Festivals. There you can find exchanges between different world musicians, performers and lovers of other genres and art forms with the goal of deepening and extension of the perspective and nets. 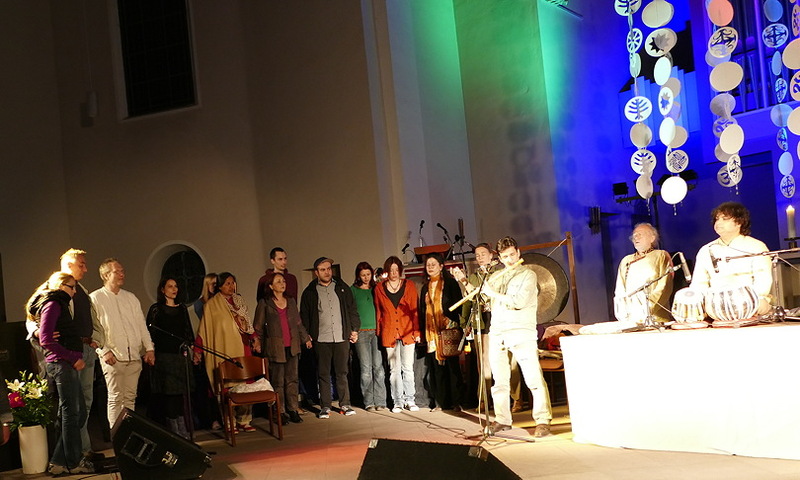 In the season 2015 we are offering different workshops and seminars in fields – Intuitive music, music and media, music and dance, music and healing, music and interdisciplinary meetings – with international well-known lecturers. The Congress idea of the Academy of Cultures NRW in BOLA – HOUSE OF CULTURES NRW is to give a free place for mutual inspiration and inovation for all performens of different disciplines and genres, to learn new creative techniques same as to expand their intercultural nets. There are for all participants occasions to take important impulses from excellent masters of their disciplines. Moreover, the Ruhrstadt Congress World Music 2015 aims to exchange experiences as well as intercultural and international co-productions which will be presented in Ruhr area and internationally. 1000,- Euro for 40 hours which can be freely selected from the period mentioned above. You can make your ideal programm yourself! Bildungsurlaub, Bildungsscheck NRW, Bildungsprämie and special conditions with 50% are possible. In special cases a grant will be availed.